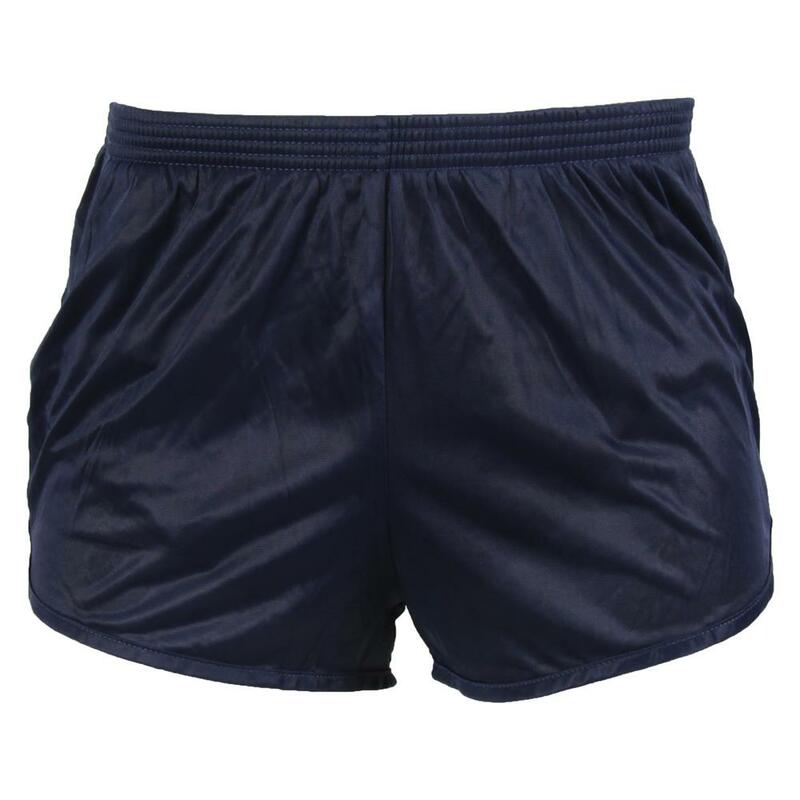 Navy Silkies AKA "Catch-Me-F*!k-Me's" are a tradition almost as old as UDT Shorts and Navy Dive Socks! These are what you want to wear for PT, Crossfit, Grocery Shopping or for that romantic evening with someone special. Cotton Kills! Ditch the cotton crap you're working out in. Cotton holds sweat, doesn't breath and certainly doesn't rub you the way these do. That first quarter mile is going to be a challenge. Nothing like going out for extended ops and being able to keep those smooth criminals super comfortable. When you're done with PT or work, jump in the shower with your Silkies and lather up, rinse and you'll be dry in minutes ready for the evening. Available in Small, Medium, Large, XL and even 2XL! Navy and Black. Get a set in each color. Black for any formal occasion and blue for PT and beach parties. Push the boundaries of decency and going to Captains Mast, NJP or Article 15...Just cut out the liner and carry on smartly.